There have been a few select bands and personalities in the world of rock & roll music that were truly unique, creating their very own sound, look, feel and signature of creativeness. The powerhouse late 60's LA based band, The Doors, centered on Jim Morrison as his lead vocals and haunting lyrical mastery was a most powerful influence in the art, literally, of rock and roll. 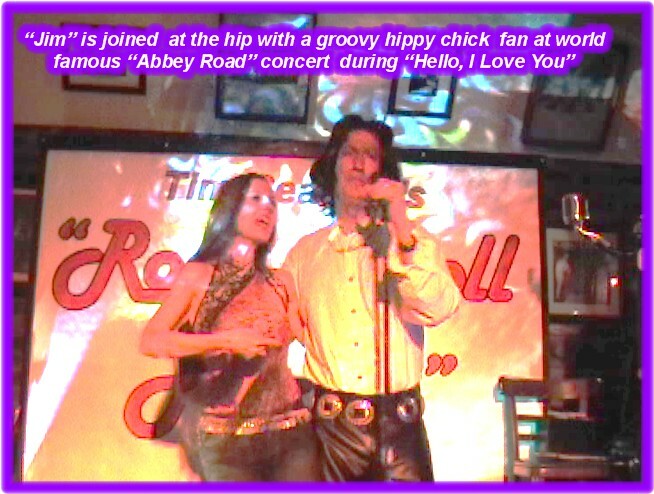 Their live performances were indeed a happenin' as Jim Morrison became a bigger than life legend. Unfortunately, Jim Morrison was to join the others of the "27" Club- Jimmy Hendrix, Janis Joplin,Kurt Cobain and most recently Amy Winehouse, all dying at the age of only 27, from the excesses of living life too fast. 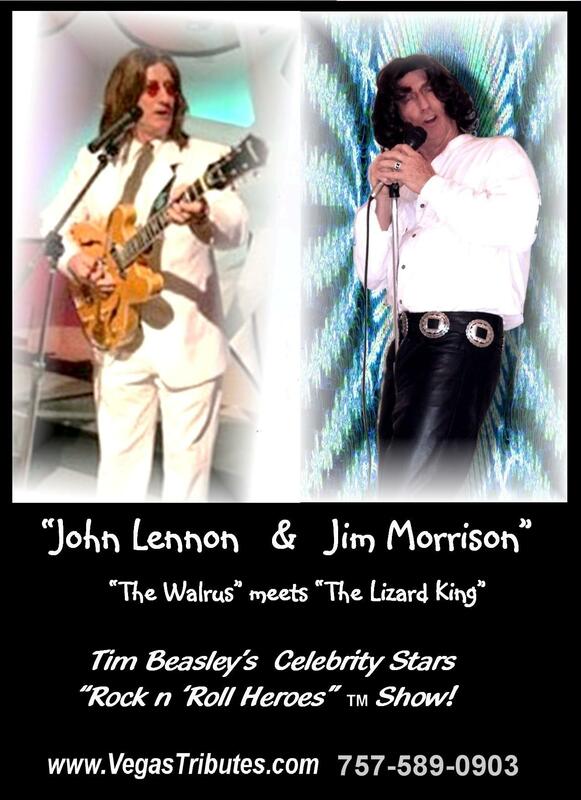 Tim Beasley is a major fan of Jim Mr. Mojo Risin' Morrison, and is proud to thrill audiences with his full dimensional celebrity impersonation and musical tribute to him. Tim conjures up this dead legend with a performance that feels like a supernatural flashback to the past, with the "Lizard King" basking in the heat of the spotlight. 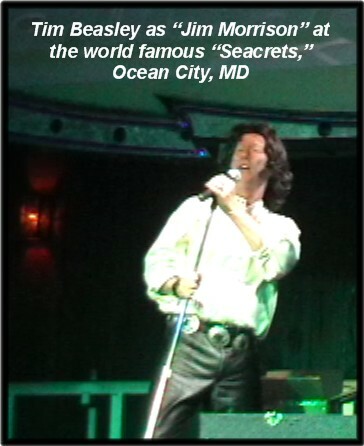 See the video featuring live performances at Abbey Road Pub in Virginia Beach, VA , a world famous Beatles theme tourists destination and popular classic rock venue, and Seacrets, in Ocean City, MD, one of the largest nightclubs on the East Coast. 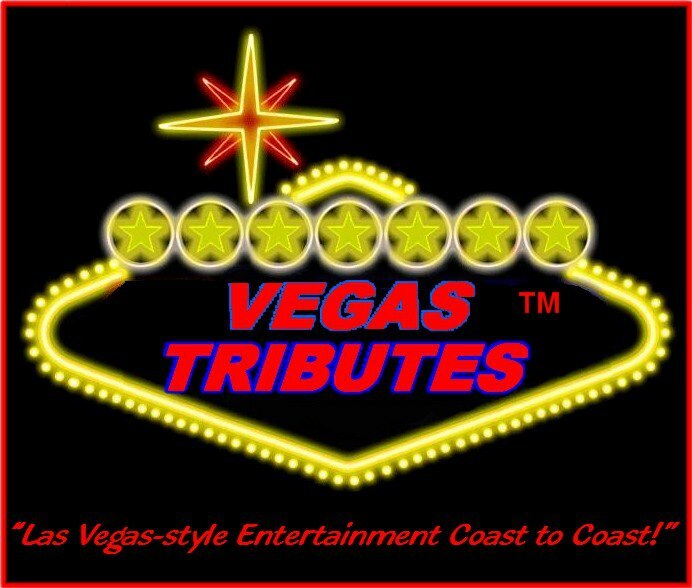 In a totally ballistic 45-minute or one-hour spotlight show, just like at the famous Whisky A Go-Go nights in Hollywood of the 60's , ladies are inclined to jump on stage with Tim as "Jim" and become honorary go-go gals! The crowds hold their breath in anticipation of the big "Mr. Mojo Risin' " crescendos that are typical blazing endings to each song, and shatter the air with their whistles and applause. This is also a great entertainment offering for a busy festival stage in that his performance fits very nicely into a schedule flavored for "Summer of Love" and "Flower Power" themes. It's a "walk out and perform" without all of the mess of making level checks, multi -instruments having to be tuned-in, etc., so Tim's show easily fills in between "bigger' bands so quickly and well…and many fans will flock to see and enjoy this unique tribute! 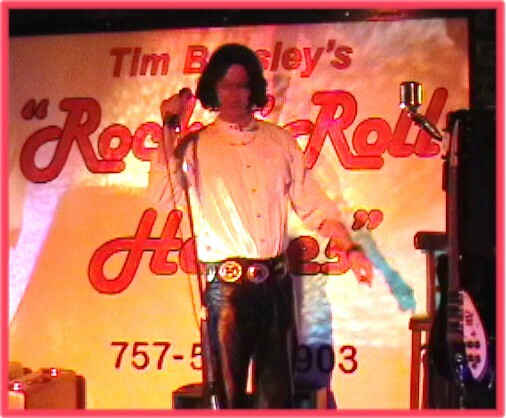 As for the looks, Tim "becomes" Jim Morrison from head to toe in that style of tight leather pants, concho belt, poet shirt and coral beaded Indian necklace and that same wild shag of unkempt hair. Performing with the same physical bravado and booming tenor-baritone voice that's as soft as velvet and in an instant grinding and groaning like twisting steel, and true to the tonal memory of those momentous recordings, just imagine Tim as Jim, and have a wonderful trip back in time to the late 1960's! "The Walrus Meets The Lizard King!" Want to see videos of actual performances??? Good...here's a link to them! Phone - we love to talk, and you can text, too!!! Licensed and Insured since 1986.